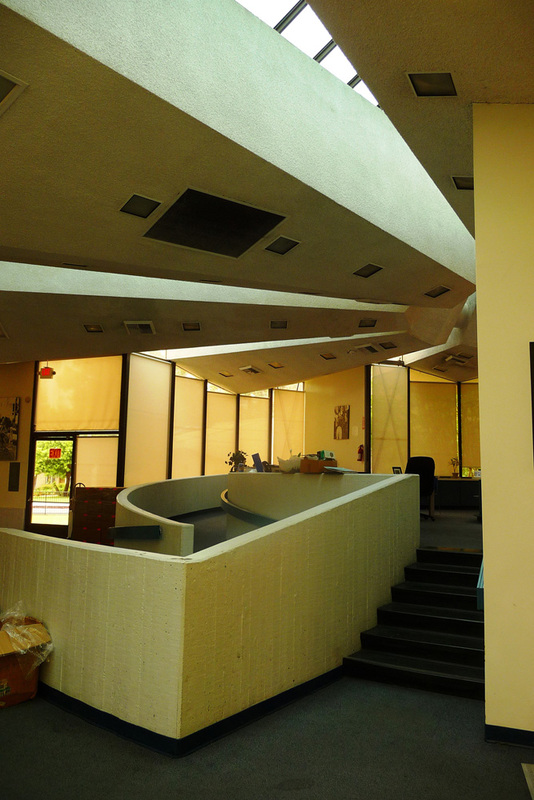 According to the Los Angeles Conservancy, yet another John Lautner building is in imminent danger. 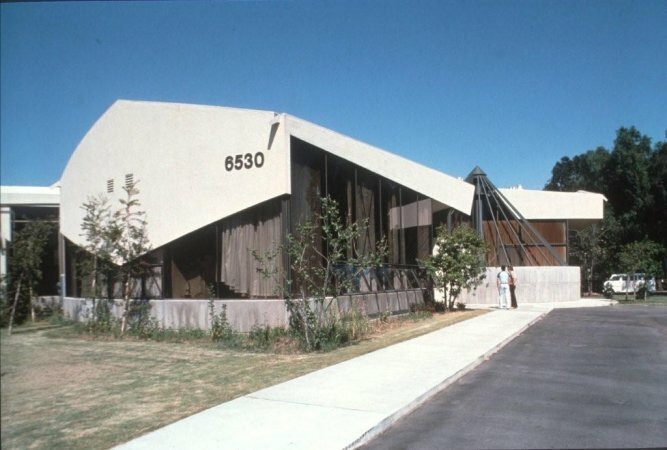 This time it’s the architect’s Crippled Children’s Society Rehabilitation Center, now known as the AbilityFirst Paul Weston Work Center, in Woodland Hills. Current owner AbilityFirst and Oakmont Senior Living, the potential buyer, submitted for a demolition and new construction permit in February, hoping to build a new Eldercare facility on the site, and the project was presented at a city Zoning Administration public hearing this week. At the meeting the Conservancy stressed that the structure was identified through the city’s SurveyLA survey process in 2013 as eligible for listing in both the California Register and as a local Los Angeles landmark. But it was not identified by LA City Planning as a historic resource in the project’s environmental review. In a letter to LA City Planning the Conservancy said the review’s conclusion that the new building will have “no impact” was based on “flawed analysis,” and called for the city to reject its findings. The building, designed in 1979, was built on a unique circular, pie-shaped plan, with wings radiating from a central office. 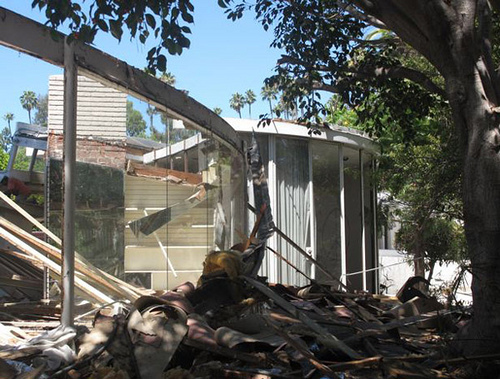 The conservancy is trying to stop it from joining Lautner’s Shusett House (below) in Beverly Hills, which was torn down in 2010. 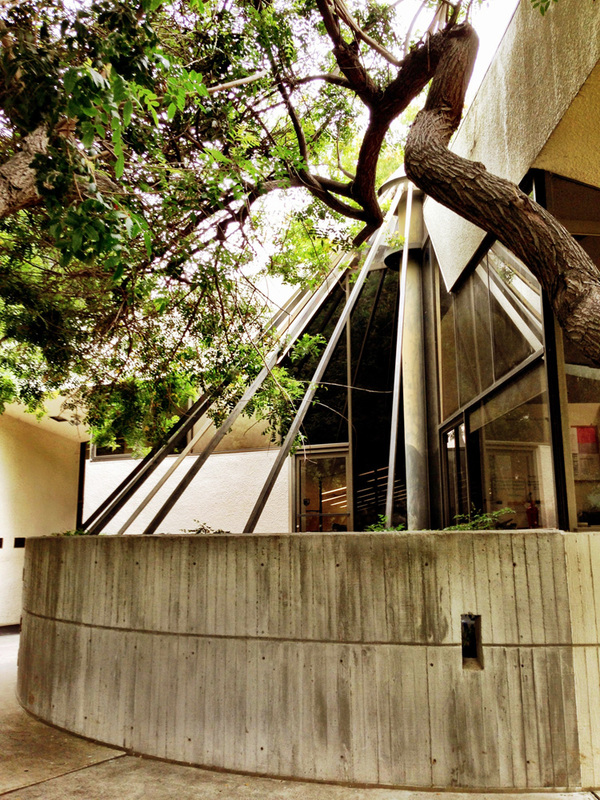 The Conservancy is asking people to write to LA City planning about the building by Tuesday.